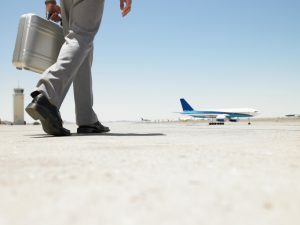 If your job requires you to frequently travel out of state, you’re likely in and out of airports several times a week. While you want your travel experience to be fast, convenient and inexpensive, they’re sometimes anything but. Here are a few tips to help make your next flight as stress-free as possible. 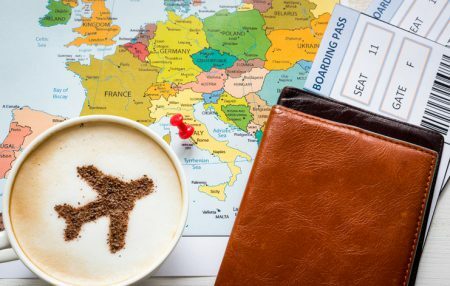 If you already know you’re going to be traveling frequently, signing up for a rewards program will help you earn a number of benefits you likely wouldn’t enjoy otherwise. Programs like TSA Pre✓ will help you speed through security and other long check-in lines without the need to remove clothing or carry-on luggage. By consistently flying with the same one or two airlines you’ll quickly rack up frequent flyer miles. Use these to upgrade your seating. Some banks also offer credit cards that make your points jump even higher, allowing you to enjoy a bit of luxury during your trips for a fraction of the price. Many hotels also feature similar systems where, after frequent visits, you’ll likely be given priority service and attention. Loyalty to a few select companies during your travels will pay off more and more as time goes on. Travel is stressful enough without worrying about whether your luggage will arrive on time, making you late to a meeting or left without the necessary change of clothes. Try to bring only a carry-on when you fly, ensuring you know exactly where your luggage is and that you have everything you need. It also helps to dress for your big meeting or event ahead of time, especially if it starts soon after you land. Any toiletries or technology should be kept in your bag or on your person so you have access to anything you need at a moment’s notice, allowing you to travel quickly and conveniently. Being stuck in a small space with dozens of other people, sometimes multiple times a week, can do a number on your immune system. Staying healthy while you travel should be one of your top priorities. Always stay hydrated and try to eat as many fruits and vegetables as possible. Even if you go out to a local restaurant with your colleagues, eat something simple that you know your stomach can handle; now is not the time to be stuck in the bathroom! Whether you take a flight for business or pleasure, you expect all of your belongings to be there when you get back. Air travel is not always a convenient process, so at PHX Valet our goal is to start and end your travel experience as easily as possible. PHX Valet, powered by FreedomPark, provides a fast and friendly valet parking experience to ensure your vehicle is safe while you travel. Let us maintain your car while you’re gone to save even more time! Contact us today to schedule a reservation or learn more about our services.